The enigmatic Black Coats have been exacting vengeance on men who have hurt girls and women for years. The killer of Thea's cousin went free, and Thea has just received an invitation to join the Black Coats' balancings-acts of revenge meant to teach a lesson. Justice for Natalie has never felt so close. 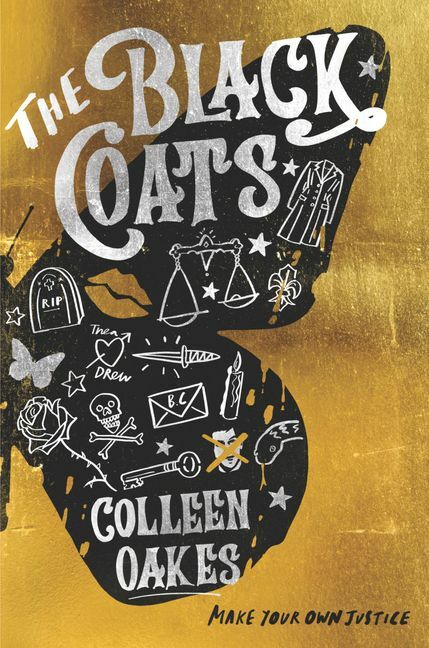 Colleen Oakes is the bestselling author of books for both teens and adults, including The Elly in Bloom Series, and The Wendy Darling Saga. She lives in North Denver with her husband and son and surrounds herself with the most lovely family and friends imaginable. When not penning new books, Colleen can be found swimming, traveling, reading or advocating for adoption and literacy.